Firstly, extract the folder to the desktop screen of your computer and launch the flash_tools.exe as administrator. 2. After that, download the file, maybe the custom recovery file or stock ROM file and extract to the desktop screen of your computer. 3. Open the file, you get to see the scattered txt file. Just that you know. 4. Now, if your device is alive, try to enable USB Debugging of the device, simply go to settings >> Developers option and enable USD Debugging. If the developers option isn’t visible on your device, go back to Settings >> about pone >> build number (tap the build number up to7-8 times till it shows “You’re now a developer”) then go to developers option and enable USB debugging. If you got a dead or bricked device, skip this step. 5. On your computer, the Flash_tools.exe that you launched, click on the download tab and click the on “Scatter-loading” button and browse for the scattered txt file, according to step 3. 6. After that, input the file, and click on the “download” button. 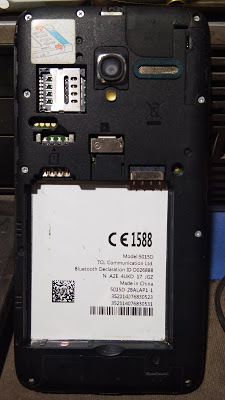 From the below image, you can see I made use of a MT6580 device to run the test, so any MediaTEK device you make use of, it would automatically display. 7. Now, power off your device (if the battery is removable, then remove it), connect your device to your computer using USB cable and once connected, press the volume down or up key, so that your computer would detect the device. 8. Once your device is detected, flashing process would start (you will notice a progress bar running) and it will take some seconds or few minutes before the process is finished. A green button will appear with a success message which indicates that the file is flashed successfully on your device. 9. After that, disconnect your device; wait for like 10 seconds and boot. 10. That’s it. Your device is back. 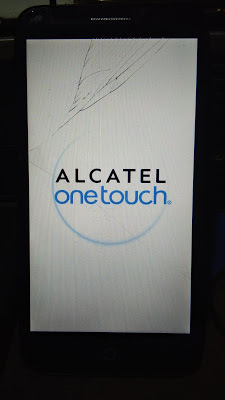 If it’s custom recovery (TWRP or CWM) file you flashed, then you can boot to recovery mode. Simply press and hold Volume Down button + press Power button till it boots to recovery mode.